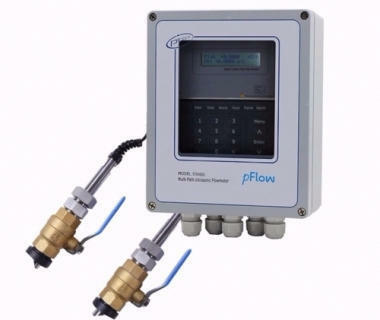 The Model D348D Plus Ultrasonic Flowmeter is a state-of-the-art universal transit-time flowmeter designed using ARM COMA technology and low-voltage broadband pulse transmission. While principally designed for clean liquid applications, the instrument is tolerant of liquids with the small amounts of air bubbles or suspended solids found in most industrial environments. With ARM COMA chip, low power consumption, high reliability, anti-jamming and outstanding benefits. User-friendly menu designed. Parameters of pipe range, pipe material, pipe wall thickness, output signals, etc. can be conveniently entered via the windows. British and Metric measurement units are available. With the TF Card, 512 files can be stored; the time interval can be within 1 second. Parallel operation of positive, negative and net flow totalizer with scale factor and 7 digit display. Internally configured batch controller makes batch control convenient.